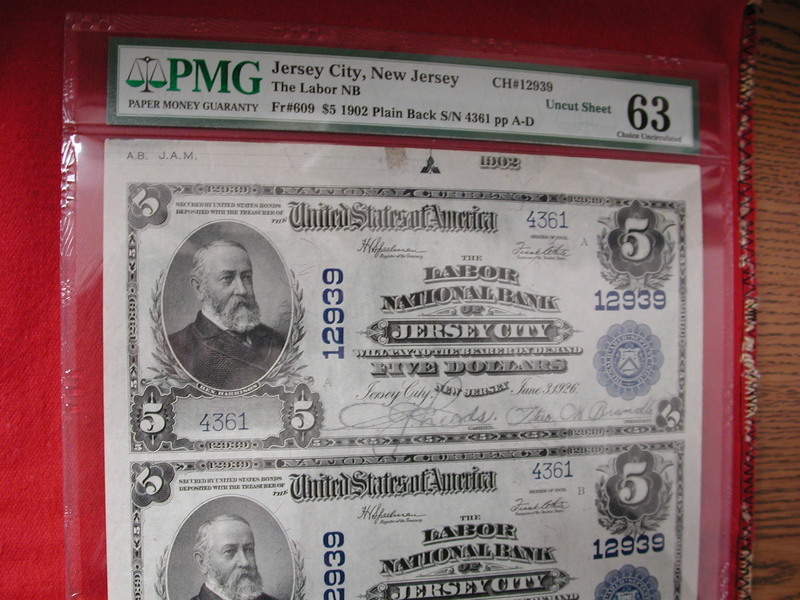 A great uncut sheet of large size notes from this short-lived New Jersey labor bank. 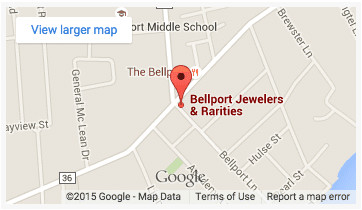 It was one of a number of labor banks formed predominantly by transportation unions in the mid to late 1920’s. 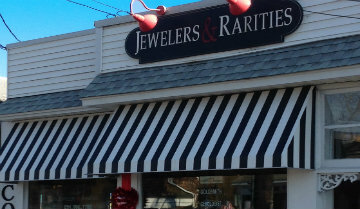 Often thinly capitalized and lenders to marginal enterprises, they were decimated by the Depression. 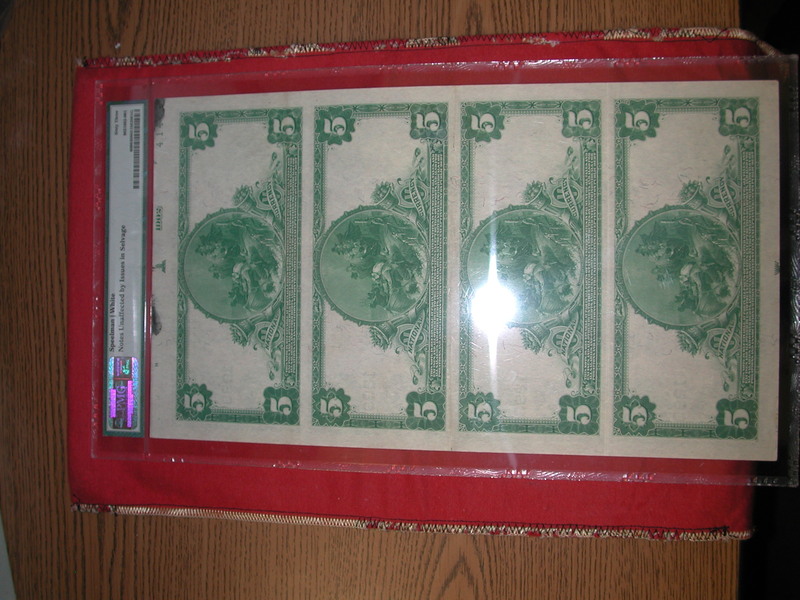 To date, just two uncut sheets are known on this bank, this example which last crossed the auction block in 1989 and one other which made its last public appearance in 2001. 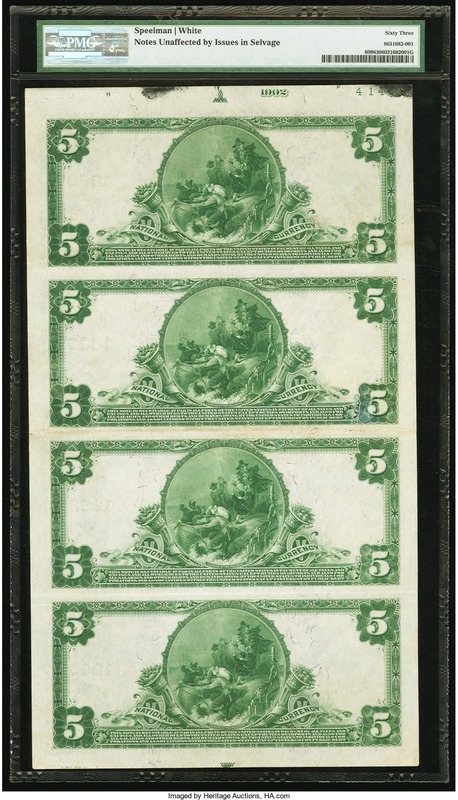 Light folds are observed between each note but, other than these folds, the sheet is well deserving of this PMG-assigned grade of Choice Uncirculated 63. PMG also mentions a small stain in the wide top selvedge but that does not detract at all from this bright, well embossed artifact of Garden State financial history. 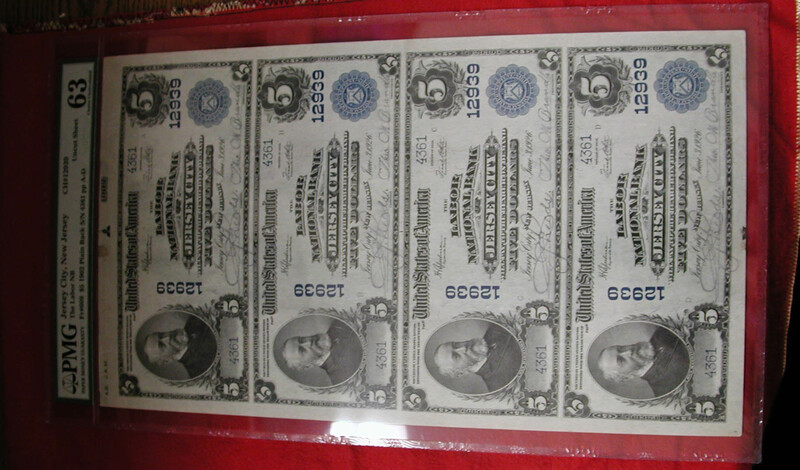 History of National Bank Notes (from wikipedia) – Prior to the American Civil War, state banks issued their own banknotes and chartered private banks to issue banknotes as well. 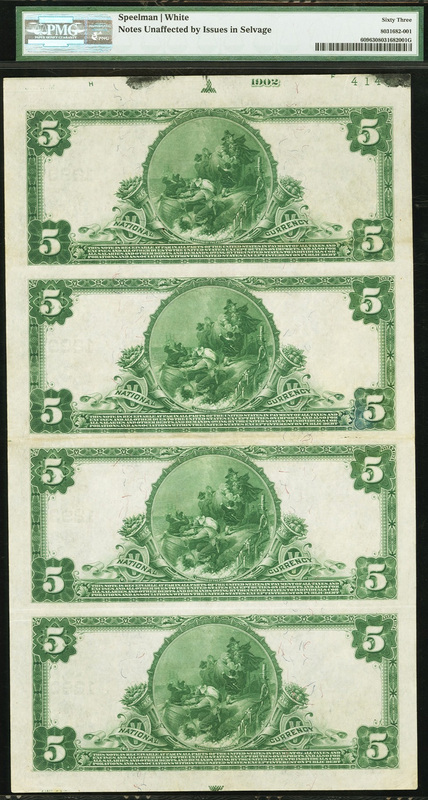 Privately issued banknotes were nominally backed by specie or financial securities held by the banks but oversight of issuing banks often was lax and encouraged wildcat banking, in which fraudulent institutions issued worthless banknotes. During the Civil War, in 1863, the National Banking Act established a system of National Banks which were empowered to issue National Bank Notes subject to federal oversight. The chartering of banks and administrative control over the issuance of National Bank Notes were the responsibility of the Office of the Comptroller of the Currency. A 2 percent tax on state bank notes was authorized in 1864 to speed conversion to the new system, only to be increased the next year to 10 percent, then 20 percent. 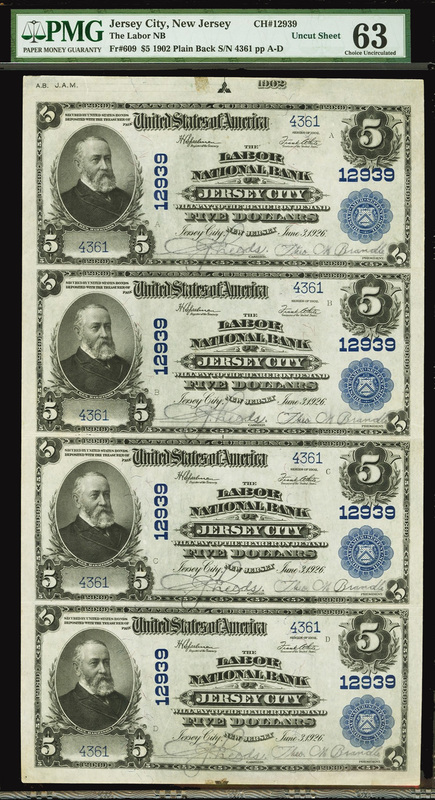 From 1863 to 1935, National Bank Notes were issued by banks throughout the country and in US territories. Banks with a federal charter would deposit bonds in the US Treasury. 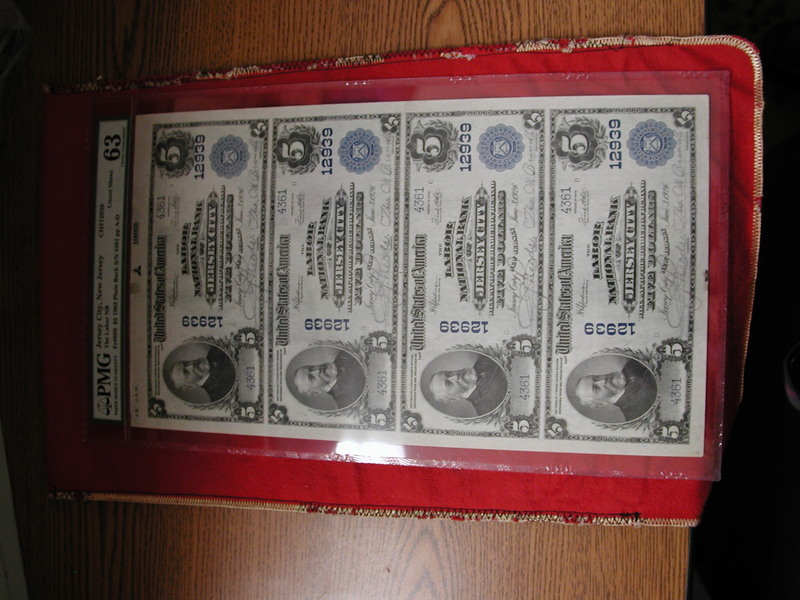 The banks then could issue banknotes worth up to 90 percent of the value of the bonds. The federal government would back the value of the notes—the issuance of which created a demand for the government bonds needed to back them. The program was a form of monetization of the Federal debt. Bonds eligible as collateral for posting to the Treasury were said to have the “circulation privilege” and the interest they bore provided seigniorage to the National Banks.